Krémový gel pre unavené nohy s hydratačnými a osviežujúcimi zložkami. Obsahuje pantenol, ekologicky pestovaný olivový olej a aktívnu organickú aloe vera. Ľahko sa vstrebáva, ponúka svieži pocit a hĺbkovo hydratuje vaše nohy. Ingrediencie: Aqua (Water), Alcohol Denat, Glycerin, Ethylexyl Sterate, Ammonium Acryloyldimethyltaurate/VP Copolymer, Panthenol, Mentha Piperita (Peppermint) Extract, Ruscus Aculeatus Root Extract, Aesculus Hippocastanum (Horse Chestnut) Seed Extract, Aloe* Barbadensis Leaf Juice Powder, Argania Spinosa Kernel (Argan) Oil, Olea Europaea (Olive*) Fruit Oil, Menthol, Parfum (Fragrance), Disodium EDTA, Xanthan Gum. 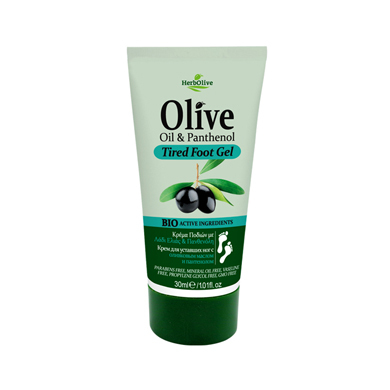 Cream-gel for tired foot, with hydrating and refreshing action. 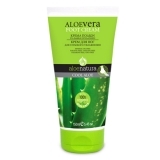 It contains Panthenol, Olive Oil organically culitvated and active organic Aloe Vera. It is easily absorbed and offers a freshness sensation and deep hydration to your feet.